Don’t get me wrong, I love to shop, buy a new outfit or two, but I have never been the type of woman who stands in front of my closet saying…I have nothing to wear. Maybe it is my oversized sense of self or just my decisive nature, but it is just something I don’t do. Many of my friends agonize over this decision daily, ultimately resulting in the purchase of more (and more and more and more) stuff. The thing about stuff is, you will NEVER have enough, there never comes a point where you will say, yep, that’s it. Anyone remember Amelda Marcos, the wife of a Philipino dictator in the 80s? 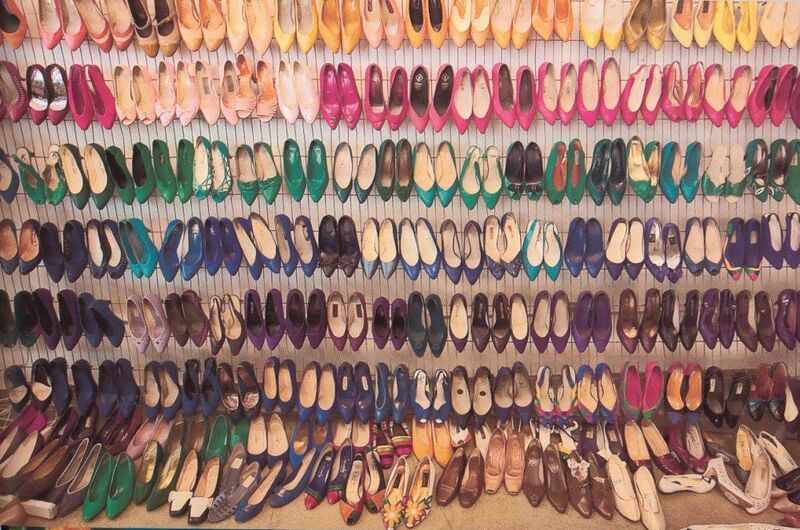 She had 3,500 paris of shoes. Nuff said. A Personal Finance Blog Revolt!!! My one pet peeve with MOST personal finance blogs out there is their almost religious commitment to being thrifty. I have read articles lately about refilling toothpaste bottles and reusing cereal liners. 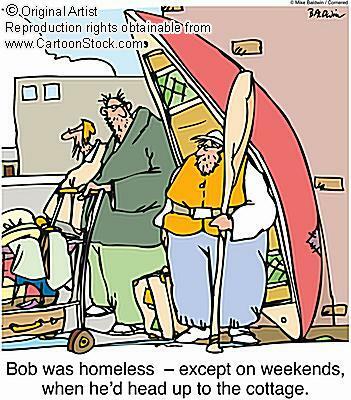 In my opinion that’s not personal finance, that is borderline homelessness. I know there are people out there that are mired in debt and need to use these gorilla tactics to crawl out of the hole they are in. I have been at those points in my life where I had to stretch every dollar reeeeeeeeeeeeaaaaaaaaaaaallllllllllllllyyyyyyyy far. However, I suspect that there is another group of individuals out there that are so turned off by the “personal finance paupers” that they eschew personal finance blogs, articles and tv shows. My belief is that you can still have a comfortable life and build wealth. You just need to budget accordingly. I have a confession to make: I eat out every day. That’s right. Every day. No, I don’t buy my food in bulk at Sam’s Club. And you know what else, I drink alot of beer at bars. I have budgeted these things into my life because they make me happy. Could I sock a little bit more into my savings account if I ate at home and drank a six pack all by my self. Sure, but what fun would that be? I have been able to invest a hell of alot of money from age 22-29 without living a boring life. Does it help that I am single with no children? Sure. Does it help that I live in a city with a low cost of living (Philly)? Sure. Does it help that I have made a decent salary over the last few years? Sure. But I am convinced you can have your cake and eat it too. In college, I made $12,000/year. My pay was able to cover rent, electric, gas, car insurance, food and alot of partying. Did I have to skimp on luxuries? Obviously. But I budgeted around my priorities and 12K went a long way. My view is personal finance should be about finding the sweet spot between growing your net worth and living a fulfilling life. Just my 2 cents. So for all you self employed folks out there, this week is for you! I am laying out all of your retirement plan options in gory detail. For everyone else, take the week off from reading. Grab a beer. Watch Heroes:) The first installment of this series discussed the SEP IRA. Part 2 of this series explores another popular option: the Solo 401K. The next two entries will describe the other options available to the self employed and the last entry will discuss what options are appropriate for you according to the kind of business you have and your goals! Do I Qualify For A SOLO 401K? Any type of business with no employees, can establish an individual 401(k) plan – generally referred to as a Self-Employed 401(k), or Solo 401(k). The business can be brand new or old. It can be a sole proprietorship, LLC, partnership, or corporation. Where Do I Set Up a SOLO 401K? Fidelity and T. Rowe Price offer SOLO 401Ks or 401kBrokers.com. How Much Can I Contribute Annually to a SOLO 401K for myself? For the tax year 2007 you can contribute up to $15,500 plus 20% of your business income, with a maximum contribution of $45,000 in 2007. You can make an extra $5,000 catch-up contribution if you’re 50 or older. Each Self-Employed 401(k) must be set up no later than December 31, to be eligible for tax deductions for that tax year. If you have a regular 401(k) through an employer and have some freelance earnings on the side, then your solo 401(k) limits will be reduced by any contributions you’ve made to a regular 401(k). But that only affects the first $15,500 of contributions, not the 20% of business income. So if you contributed $10,000 to a regular 401(k) through your employer, for example, then your solo 401(k) contributions will be limited to $5,500 plus 20% of your business income. If you have employees you are not eligible for a SOLO 401K unless it is your spouse. Keep in mind that the eligibility requirements for having a self-employed 401k plan are quite strict. It’s not widely offered by most investment companies and those that do offer it provide limited investment options. And once you add a single employee outside of your spouse, you must convert to a traditional or SIMPLE 401k plan. If work for yourself take full advantage of the tax benefits that affords you! A Solo 401K allows you to defer a significant portion of your retirement savings from taxes. Don’t let Uncle Sam get more than his fair share! In the next installment of this series (Part 3 of 5) I will describe another kind of retirement account for the self-employed – The SIMPLE IRA! It seems like October is Independent’s Month at Dollars & Sense Education! I just helped a client who is a Realtor (1099 employee) rollover a 401K from an old employer into a SEP-IRA with Vanguard. If you are self employed or have a side business you can start your own retirement accounts. Part 1 of this series will describe the SEP IRA. The next three entries will describe the other options and the last entry will discuss what options are appropriate for you according to the kind of business you have and your goals! Do I Qualify For A SEP IRA? To qualify you must have self-employment income. Self-employment income consists of net profits from a Schedule C or Schedule F on your tax return, or guaranteed payments from a partnership. If you run an S-Corporation, your corporation will have to set up the SEP-IRA and deduct your contributions from your W-2 salary. You must open and contribute money to a SEP-IRA plan by the due date of your tax return. Where Do I Set Up a SEP IRA? SEP IRAs can be setup with the same companies that provide Traditional IRAs and ROTH IRAs although the fees will vary slightly from traditional IRA and ROTH IRAs. How Much Can I Contribute Annually to a SEP IRA for myself? Your annual maximum contribution to a SEP-IRA is 20% of your net earnings minus self employment tax from self-employment income or $45,000 (for 2007), whichever is less. Do both! You can sock away money in both a SEP IRA, ROTH IRA and a Traditional IRA. You can still contribute to a Roth IRA or a Traditional IRA if your modified gross income is under approved limits. Your employee contribution is capped at $4,000 regardless of the type of IRA you use. Where you sock away the extra dough is the employer contribution (up to $45,000) in the SEP IRA. You can have your cake and eat it too! Sock your money away in a SEP IRA and a 401K! This can be setup until you file your taxes, including tax extensions. A SEP allows for a contribution of up to 25% of your employees’ salary per year at a maximum of $45,000 (2007). An employee is defined as at least 21 years old and must have worked for you 3 out of the last 5 years. Contributions to employees SEP IRA MUST BE UNIFORM – that is if you contribute 20% to one employee’s account, you must contribute 20% to all. Employees cannot contribute to their SEP, unless they are self employed obviously. Employees can contribute to a Roth IRA or a Traditional IRA if their modified gross income is under approved limits. If in the calendar year, the employer doesn’t contribute to the SEP IRA, the employees can contribute to the Traditional IRA regardless of income. In short, if work for yourself take full advantage of the tax benefits that affords you. A SEP IRA allows you to defer a significant portion of your retirement savings from taxes. Don’t let Uncle Sam get more than his fair share! In the next installment of this series (Part 2 of 5) I will describe another kind of retirement account for the self-employed – The Solo 401K! Please contact Dollars & Sense Education to bring our “Financial Health 101″ seminar to your company or organization! In Part 1 of this series, hopefully I convinced you of how important it is to save for retirement. In Part 2, I talked about the different options that exist for retirement savings. In Part 3, I discussed how to efficiently prioritize the options that exist for your retirement savings. In Part 4, I discussed how and where you go to sign up for your 401K, 403B and IRA. In this final installment, Part 5 of this series, I discuss good investment options for your IRAs, 401Ks and 403Bs. Diversification is a powerful investment concept. It refers to saving your investments in different baskets. Diversification requires you to place your money in different investments with returns that are not completely moving in the same direction at the same times. When some of your investments are up, others will be down. To decrease your chances of getting clobbered at the same time, you must put your money in different investments such as stocks, bonds and cash. You can further diversify your investments by investing in domestic as well as international markets. The process of how you spread your money around and diversify is called “asset allocation”. The wise approach is to have more risk (equities) in your younger years and as you move into retirement move the majority of your money into less risky assets (bonds and cash). There are many different ways to allocate your assets for retirement, but below I outline one possibility. Allocation: 100 % in stocks. Of this, 40% invested in large cap-growth funds, 25% in small-cap growth funds, 25% in large-cap value funds, and 10% in international. Allocation: 80 % in stocks and 20% in bonds. Of the stocks portion, 40% invested in large-cap growth funds, 25% small-cap growth funds, 25% large-cap value funds, and 10% in international. Allocation: 70% in stocks and 30% in bonds. Of the stocks portion, 40% invested in large-cap growth funds, 25% small-cap growth funds, 25% in large cap value funds, and 10% in international. Allocation: 50% in stocks and 50% in bonds. Of the bonds portion, 40% invested in large-cap growth funds, 10% small-cap growth funds, 40% in large cap value funds, and 10% international. Allocation: Reduce stocks by 5% per year and increase bonds by 5% per year so that at retirement you have 25% in equities and 75% in fixed income. Of the equity portion, 40% invested in large-cap growth funds, 10% small-cap growth funds, 40% in large-cap value funds and 10% international. The second factor to take into account when you are choosing the mutual funds in your accounts is cost. Typically the lowest cost funds that one can buy are index funds. An index fund is a fund that merely tracks a specific financial market. For example an S&P 500 index fund just copies the movement of large cap stocks. A Russell 2000 index is used to track small cap companies. Index funds do not have managers making decisions about what to invest in so they are less expensive. They also tend to outperform actively managed, more expensive funds. So if these are an option within your plan, take advantage of them to carry out your asset allocation strategy. If actively managed funds are your only option, invest in them but be wary of expenses associated with the fund. Actively managed funds have expense ratios and loads that eat into your returns. Minimize these costs as much as possible! The great thing about investing for retirement is that once you are set up you really don’t have to do much. Just once a year look at your portfolio and make sure your investments still match up with the asset allocation you want. Because your investments grow at different rates, this can throw off your asset allocation. Make sure you rebalance it every year! I hope you have enjoyed this 5 part series on Investing for Retirement. Please contact me with any questions or clarifications! Please contact Dollars & Sense Education to bring our “Financial Health 101” seminar to your company or organization! In Part 1 of this series, hopefully I convinced you of how important it is to save for retirement. In Part 2, I talked about the different options that exist for retirement savings. In Part 3, I discussed how to efficiently prioritize the options that exist for your retirement savings. In this installment of the series, I will discuss how and where you go to sign up for your 401K, 403B and IRA. Signing up for a 401K or 403B is quite easy. Picking the right company for your IRA is more complicated. In this post I will attempt to make picking a company for your IRA as easy as possible. If your company offers a 401K or 403B, opening one is quite easy. Just contact the HR office of your company and ask them for the paperwork! 1) Full Service Brokerages – Merril Lynch, TD Ameritrade, Wachovia, etc. These are my least favorite options unless you really feel like you cannot do this on your own. They provide investment advice but are very expensive. If you want to use this option you can go online to find your nearest branch office. 2) Online Discount Brokerages – ShareBuilder, Scottrade, Firsttrade, Zecco, ETrade etc. Discount brokers appeal to many people because they have low or no minimums to open an account. Short term, online discount brokerages can be a good alternative if you only have a small amount to invest (less than $1,000) and you are not willing to make automatic contributions of at least $50/month. If you are a mutual fund investor, opening an online brokerage account should only be a short term bridge to opening an account at one of the big three mutual fund companies. Discount brokers are a good option if you’re primarily interested in purchasing individual stocks instead of mutual funds, but for most casual investors this is not advised. 3) Banks – Bank of America, Commerce Bank, Citizens Bank, Washington Mutual, etc. Another option if you’re short on cash to open an IRA at a mutual fund company is to open an CD-based IRA at a bank until you’ve saved enough for the minimum initial deposit at one of the three big mutual fund companies. This is only a short term option. As soon as you have at least $1,000 you should be rolling you IRA over to a mutual fund company. 4) Mutual Fund Companies – In my opinion, mutual fund companies are the best place to open your IRA. However, they have fairly high minimums for investing. Fidelity Investments, The Vanguard Group and T. Rowe Price are the three largest mutual fund companies and signing up for all three can be done easily online. I will provide key details for each company so that you can properly evaluate which company best suits your needs. Minimum Investment: $2,500 minimum initial deposit, but this is waived if you commit to at least $200/month automatic contributions. Additional Contributions: Minimum of $250 unless you commit to at least $200/month automatic contributions. Minimum Investment: $1000 minimum initial deposit to purchase the company’s STAR fund. (The STAR fund is a mutual fund of mutual funds, a safe choice for beginners.) Most other funds at Vanguard have a $3000 minimum. Additional Contributions: Minimum of $100 unless you use their Automatic Investment Plan, in which case the minimum is $50. Fees: $10/year per mutual fund owned for Roth IRA accounts until you have a balance above $5,000 for each mutual fund or an aggregate of $50,000 invested, after which there is no fee. Minimum Investment: Minimum of $1,000, unless you sign up to contribute at least $50/month in automatic contributions. Additional Contributions: Minimum of $1,000, unless you sign up to contribute at least $50/month in automatic contributions. Once you’ve completed the application process, you will be asked to transfer money to your account. This money will probably earn interest in a money market fund until you choose an investment. In the final installment – Part 5 of this series, we’ll discuss good investment options for IRAs and 401Ks. Stay tuned!